There is a high risk of the UK crashing out of the EU without a deal by accident, the EU’s deputy chief negotiator Sabine Weyand has said. And it was a challenge to see how a majority for any deal could be built among MPs, she added. The EU side were agreed that a time-limit to the Irish backstop defeated the purpose of having one, she added. It comes as Theresa May addressed a meeting of Tory MPs, the day before all MPs vote on a series of amendments to the PM’s plans that could shape the future direction of Brexit. The BBC’s political correspondent Iain Watson said numerous sources at the meeting revealed the government would be whipping its MPs to vote for one amendment that proposes the backstop be replaced by “alternative arrangements”. The Irish backstop – the “insurance policy” in the withdrawal deal – has been the controversial sticking point. It is intended to ensure that whatever else happens, there will be no return to a visible border between Northern Ireland and the Irish Republic after the UK leaves the EU. Both the UK and the EU believe that bringing back border checks could put the peace process at risk. But the current wording of the backstop plan has proved unpopular with many Brexit-supporting Conservative MPs who are concerned that it could tie the UK to many EU rules indefinitely. Speaking at an event in Brussels, Ms Weyand – deputy to the EU’s chief negotiator Michel Barnier – said that other options for the Irish border had been extensively discussed and referred to the months-long negotiations with her UK counterparts. She said that a lot of the discussion of the withdrawal agreement in the UK was “uninhibited by any knowledge” of what it actually contained. EU leaders were concerned about extending the two-year Article 50 process, she said, because Brexit was “eating up the political energy” for solving other issues. 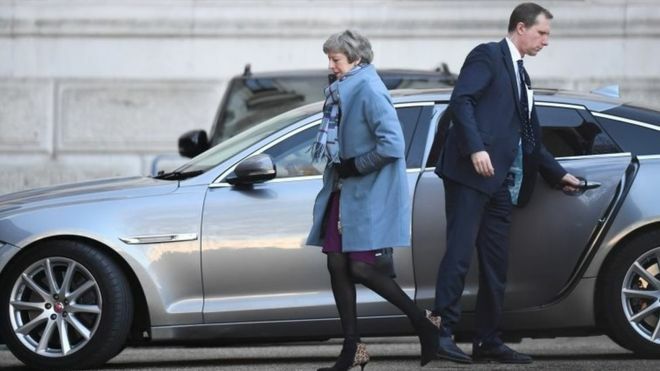 She added that Mrs May’s secrecy and reliance on a small group of people had been a “handicap” in getting support for the deal.